I don't know if there is still an interest about this but I guess I can share it anyway now that it is done. Disclaimer 1 : Of course I don't claim anything as my own except putting all this together : everything is owned by Hawk Wargames. I used the graphic background from the command cards because I find it nice and blends unit cards nicely with it. And there are the links to download the PDFs. 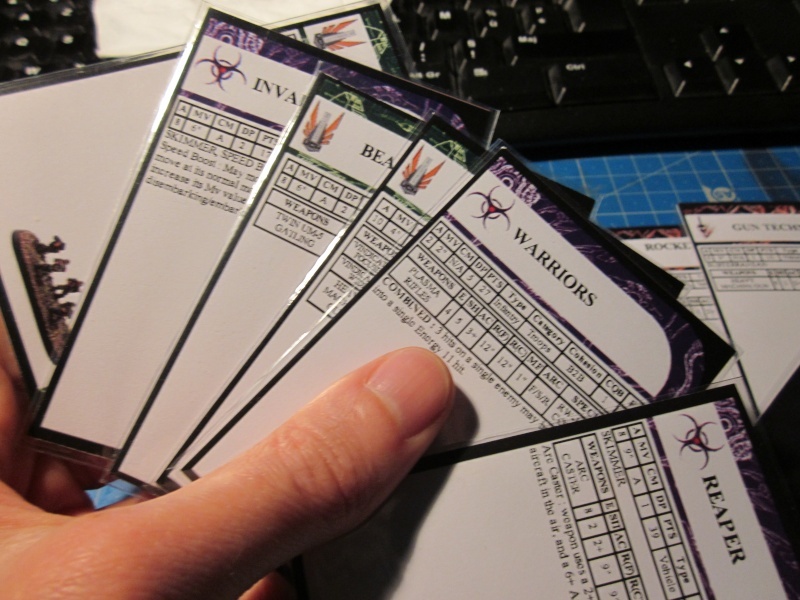 Each card is now on its own PDF page, so if one wants to print some cards on A4 paper, it should be possible to print as much as 8 on them on each paper sheet (haven't tested this yet let me know if it works !). One card back for the faction is at the end of each file. Let me know if you find any error ! 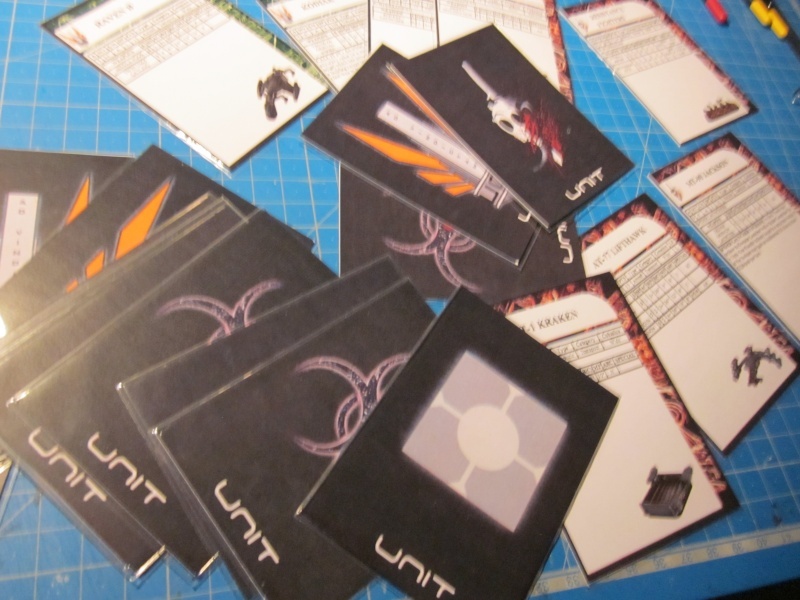 Tar Palantir compiled those battlegroup cards so that there are 8 of them on each page, and 8 back side on the following page, so it is possible to print in double sided mode if your printer accepts thick paper. 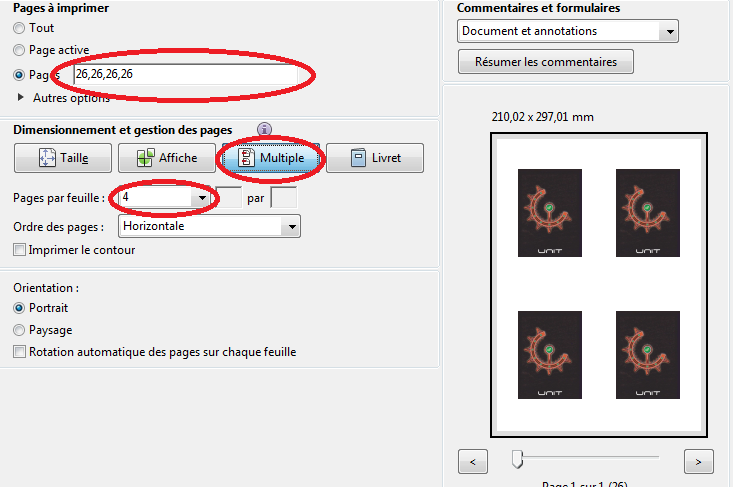 - Q: how can I print multiple "back card" on a single A4 sheet ? - Q: Where are the unit special text ? Would it be possible to integrate it on the cards ? - A: I asked HWG for permission to release the cards, and they agreed. But they also wanted to keep the cards and FFOR on a equal footing (meaning no advantage on one on the other). So, as long as FFOR does not have the units special text, the cards won't have it. 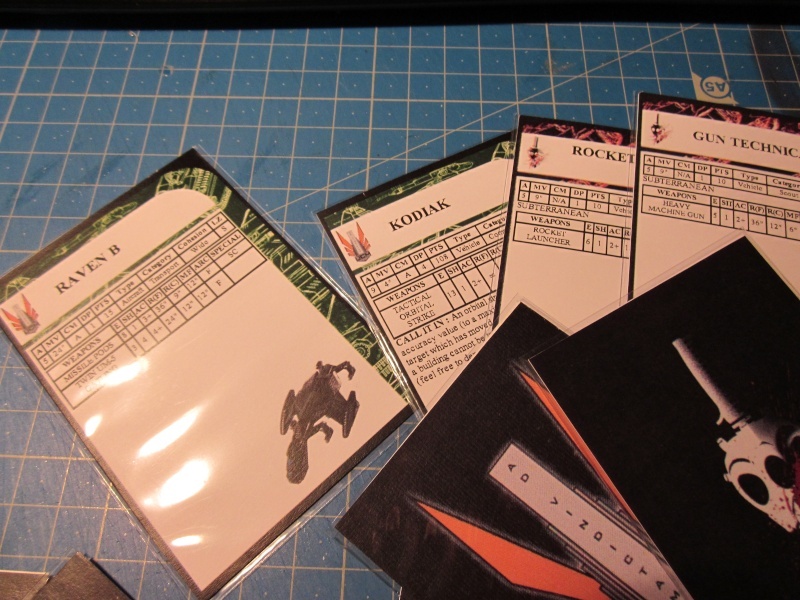 I have a personal version of the cards with all the special text on it, so it can be done (even if it's sometimes a little tricky to put everything, and it requires some rewriting of such special text, like the longbow...). So if you really need it, it can be done with a PDF editor. Last edited by Abrusio on Fri Dec 02, 2016 9:05 am, edited 7 times in total. Please tell us as soon as you release the cards with the special rules. I remember reading that Buhallin could have easily inserted the special rules in FFOR outputs but he has chosen not to do it because he thought it could be problematic. That's why I released the "no special rules" version first. I am going to message Simon to see if it is ok to release them. This is so much gold! So, for the special rules text, Simon answered. He wants to keep it like the FFOR outputs, so no special text on the cards, sorry guys ! These are fantastic. I'm adding the special text onto them myself using http://www.pdfescape.com and then will print them out.